Everyone loves a good DIY project, especially when it’s this easy! 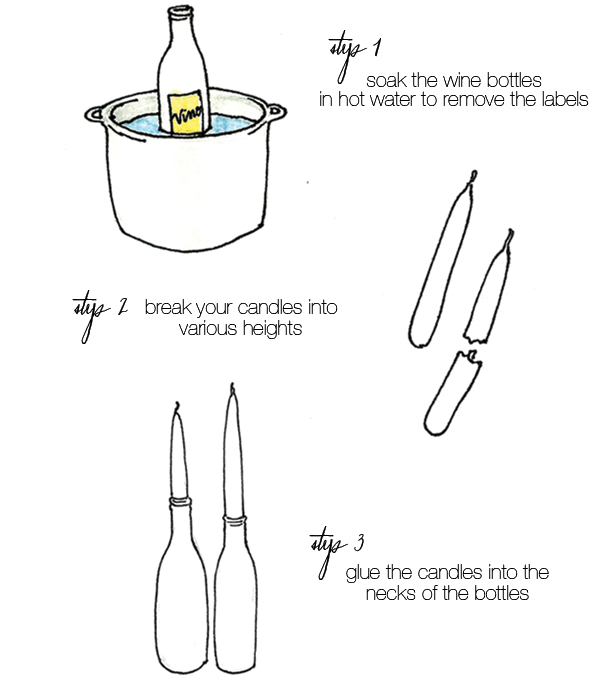 Today, we’ve got a wine bottle candle tutorial for you to make your very own sophisticated centerpieces. We’ll walk you through the process step-by-step to make sure your candles turn out perfectly. Submerge your wine bottles of choice in hot water for an hour or so and let the labels soak off. Fill the bottles with water so they don’t float to the surface. Once you remove the bottles from the water, scrub the excess paper off. Gather the candles you want to use and break them into your desired heights. Use a knife to expose the wick. Vary the heights of the candles for a more dramatic effect. Also, use colored candles to complement your theme or decor. 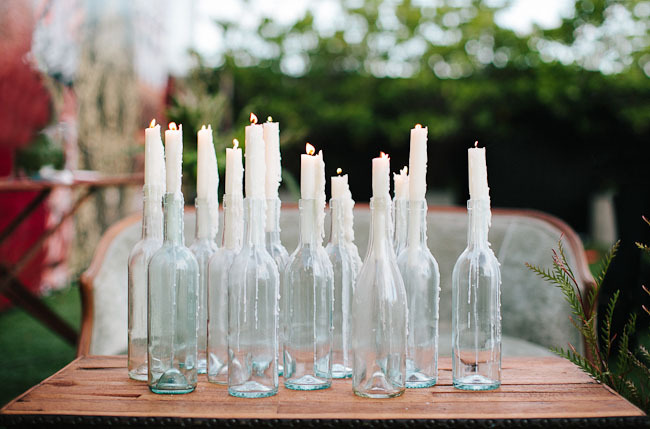 Glue the candles into the bottles with hot glue to ensure that they don’t fall out accidentally. Use plentiful amounts of glue. Light the candles and let the wax drip down the sides of the bottle. The more wax, the better they look! We hope this tutorial will give you new decorating ideas for your next event or even just for your home. Be on the lookout for more DIY ideas from the Exceptional Events team. Happy fall, y’all!